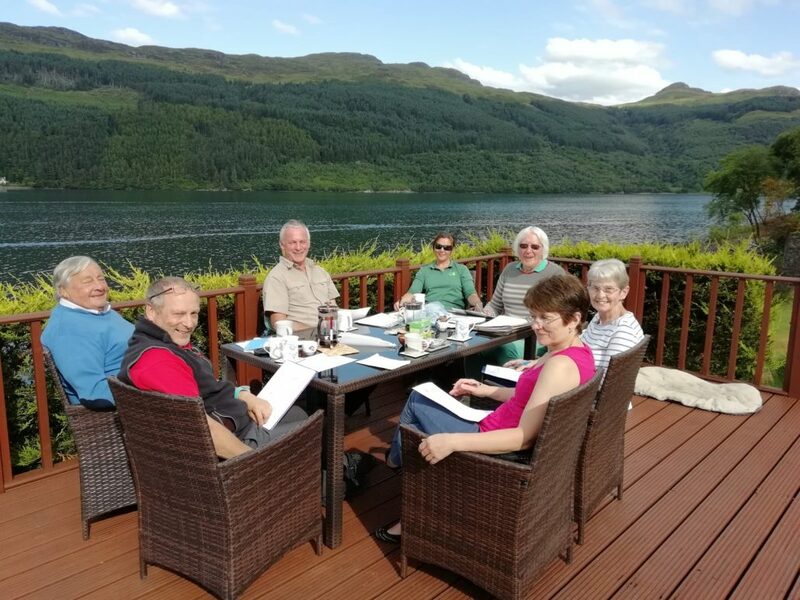 An Introduction to the Committee of the Cormonachan Woodlands Association for those who don’t know who attends the committee meetings. Bottom left clockwise: David Thorpe, Centre Manager, AOEC Trust Ltd. (Ardroy Outdoor Education Centre); Jimmy Sim, Treasurer; Don Kamsley, Chair; Sue Morris, Communities & Visitor Services Manager, Argyll Forest Park (ex officio member); Douglas Locke, Secretary; Cecilia Ferguson & Frances Walker. Photo taken at the last committee meeting on Wednesday 18th July 2018.